Kidney cleanses have been utilized since ancient times to keep the kidneys free of calcium deposits. These calcium accumulations can sometimes increase to the size of a kidney stone. You’ll usually know when you have a kidney stone because the pain can be excruciating. Thankfully, both kidney cleanses and consuming essential foods for kidney health are sound ways to prevent complications. 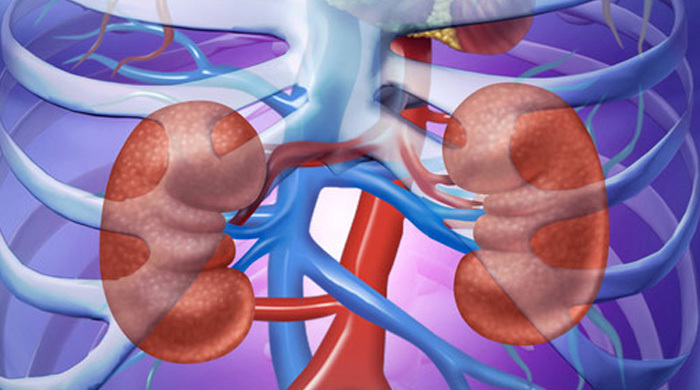 The kidneys are very delicate organs which filter the blood — 24/7 — over the course of a lifetime. Therefore, it really helps to conduct a regular cleanse either by way of one’s diet or through the use of a formal herbal cleanse program. The herbal cleanse is designed to gently dissolve the calcium deposits and other accumulations which can build up. A diet rich in these foods and juices will help keep the kidneys free of stones as well as the minute calcium deposits which can compromise organ function over the long term. Kidney beans will also help tonify the kidneys and keep them strong. Here are some excellent recipes that ought to be used during those seasons when the food ingredients are grown locally, if possible. Fresh watermelon juice is always preferable of course. Foods that assist in maintaining healthy potassium levels are especially good for the kidneys. Bananas, dried fruit, and grape juice are especially good as are beans, dark leafy greens, and avocados. There are many different herbal protocols which have been designed to cleanse the kidneys. Some of these are very gentle cleanses and take a little longer; others take a more aggressive approach and are shorter in duration. The specific herbal formulations and various support tonics along with the number of doses per day should be carefully considered given one’s lifestyle and/or work demands. If you’re seeking a specialty product or protocol, Natural Society recommends the Kidney Cleanse Kit that is offered by the Global Healing Center (GHC). Not only is their cleanse easy to do, the protocol will conveniently fit into the life of a busy professional. The GHC program is highly effective for those who have not performed any prior kidney cleanses or flushes. “Chanca Piedra (herb) – Rich with phytochemicals and biological activity, Chanca piedra has a firm position in the herbal medicine systems of everywhere it grows. The Spanish name of the plant literally means “stone breaker” and it’s been used by South American people to promote kidney and gallbladder health for centuries. Hydrangea (root) – Hydrangea is well known in Native America folk medicine as a remedy for kidney stones. With incredible solvent properties, Hydragnea root is thought to dissolve the sharp edges of stones to make them easier to pass. Uva Ursi (lichen) – Uva ursi gets its effectiveness from a glycoside known as arbutin. Uva ursi is a well known herbal remedy for urinary and bladder problems. It encourages a clean urinary tract and normal urine flow. Gravel Root (root) – Also known as Joe-Pye weed, gravel root is appreciated by Indian tribes for urinary tract health.It’s traditionally believed to dissolve deposits and offer restorative qualities to the kidneys. Goldenrod (root) – Also popular in Native American medicine, goldenrod is traditionally used to support the urinary system. It tightens and tones urinary tissues and strengthens the kidneys.